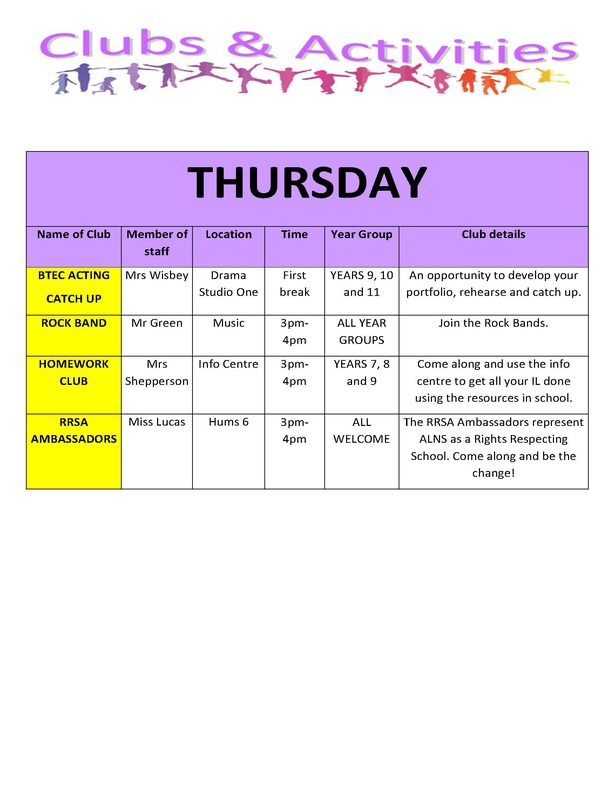 There is always something going on at Admiral Lord Nelson School! 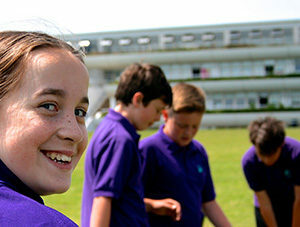 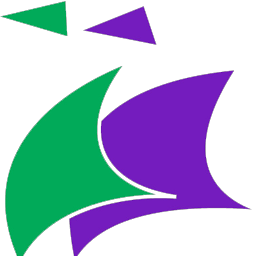 Throughout the year there are numerous opportunities to be involved in something you enjoy. 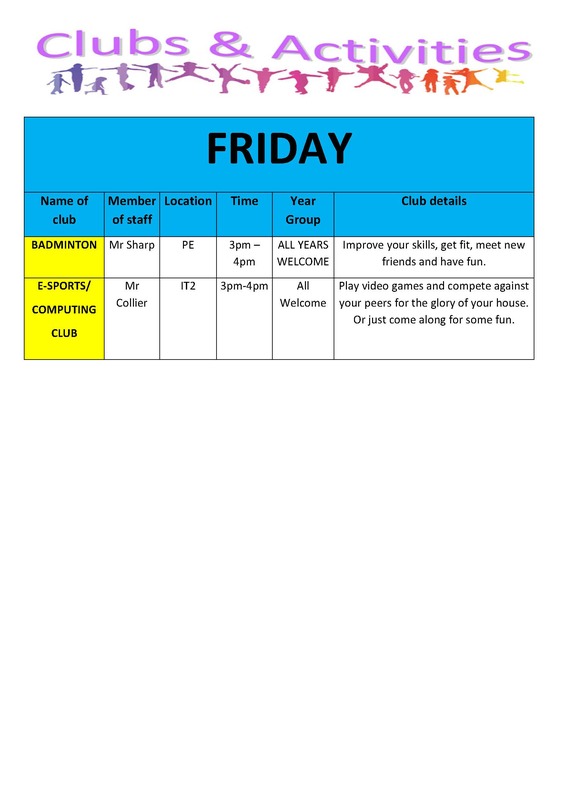 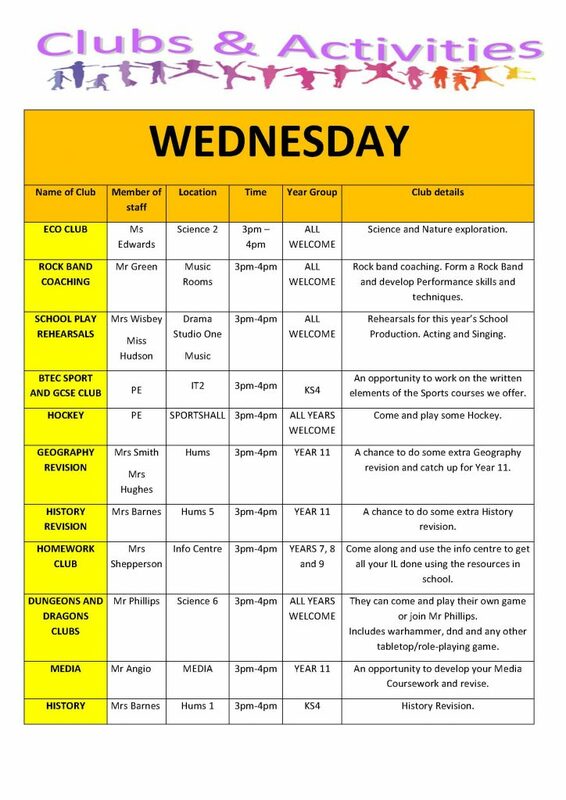 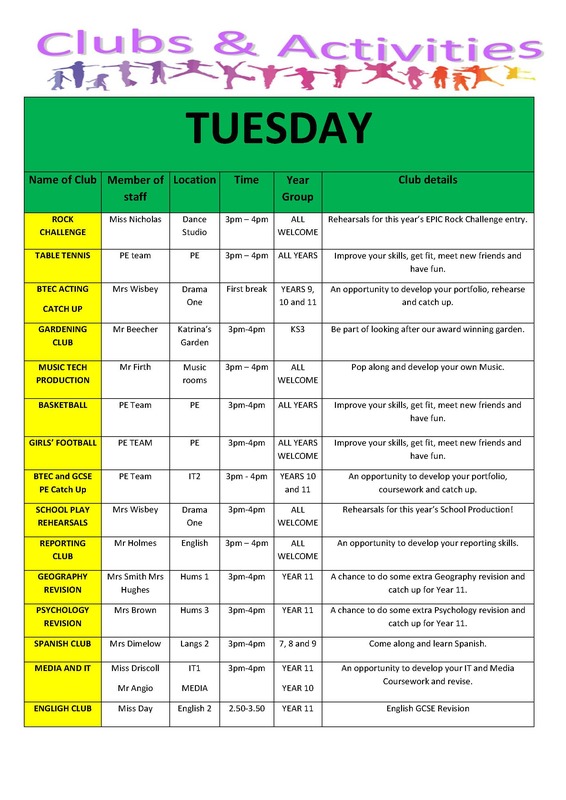 Look through the clubs list below and go and find out more about it from the teacher running the club! 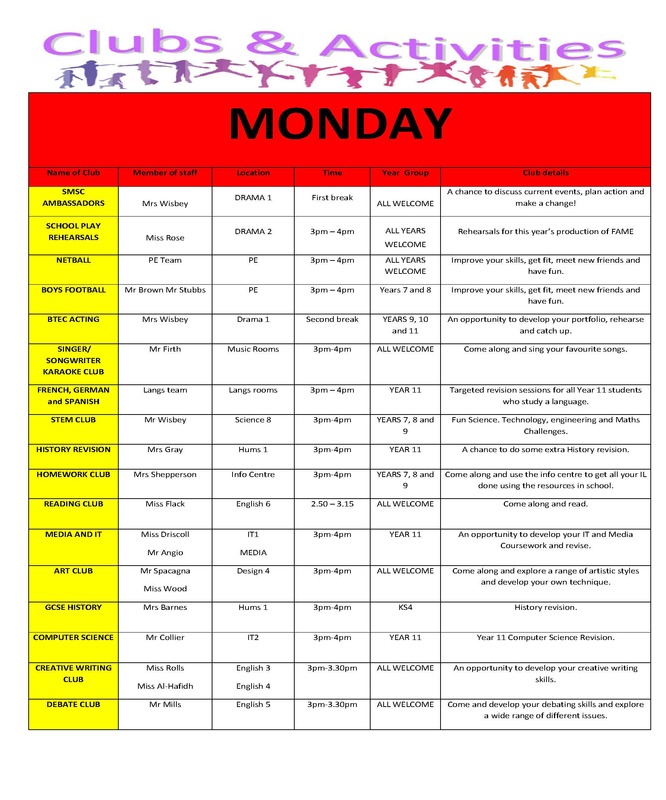 Click or tap on the images to see them full-size – you can also see the full document in PDF format below.